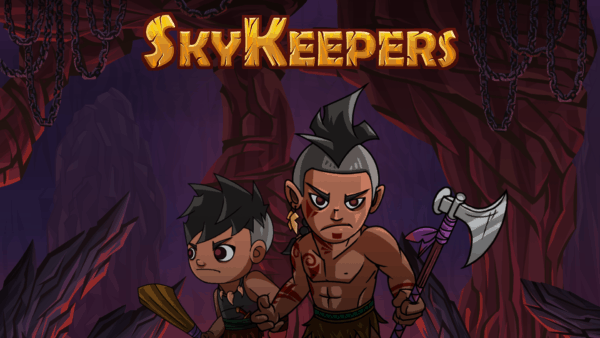 This preview version of Skykeepers has six levels available to play. The levels included a tutorial and bits of the beginning story. 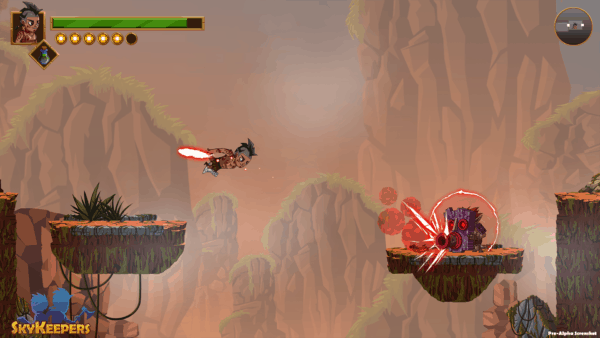 This Action Platformer, focuses on a young boy becoming a man, as he sets out to defend his village from evil spirits. 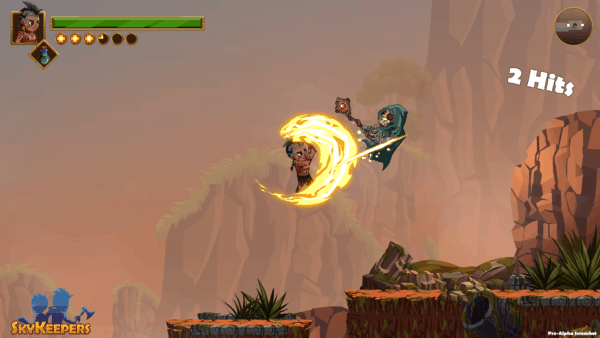 Skykeepers feels like a flash game in some ways. This isn’t a knock at all, as Flash games have a great history in gaming. They’re actually the original web games. 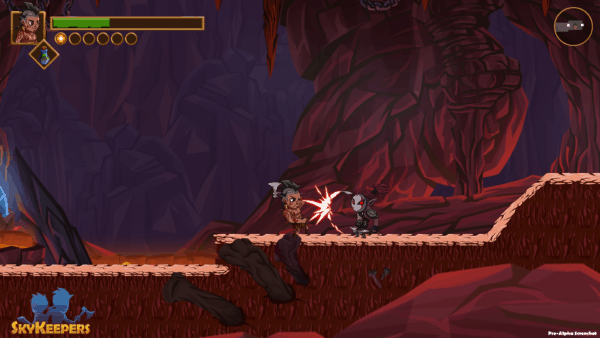 Flash games introduced better 2D graphics and replaced some 90’s pixelated games. When these games work properly, they are fun and simple to play. Skykeepers follows this similar formula in terms of controls. It has a jump button, melee combos, and the occasional dash. However, the controls do lag a bit. Going left or right felt like it was taking too long, making the progression of the levels rather slow. Jumping also suffered from the same issues, as the game didn’t register my jumps fast enough. This led to me floating instead of dropping down. Now, it could’ve been used to my advantage when it came to enemies. The problem is even my attacks had the same issues. Hitting an enemy was very hit or miss for the most part. Even when I was clipping into them. The enemies also didn’t even hit my character sometimes as well. Not to mention, that when having to throw items the knife would go in weird directions of where it was supposed to land. For example, In one level, I was stuck for maybe 30 minutes because I could not align myself to throw the knife. Each time I threw the knife, it would miss hitting the enemy. It took multiple tries for the knife to stop hitting the floor and actually attack the enemy. Certainly, this is something that needs some work. 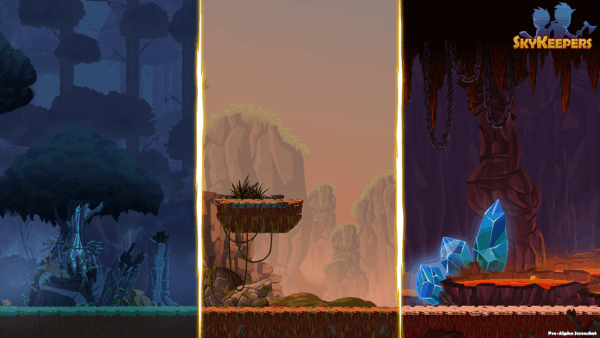 The six levels provided offered very little in the form of variety, which is a shame because there’s a lot of potential with the colors and textures the game has. Perhaps, the game can keep the same level design, but change the graphics up a bit. Instead of having one design of the jungle, have several available. This also isn’t the final version, so this is easily something that could be remedied at release. The preview was a bit disappointing and has some bugs. However, the game has a lot of potential to grow. There’s a base of a game there, just some things need to be fixed in the targeting and jumping. The levels could use more variety as well. I’m sure, we will get to know more about these characters and learn about their stories with the full release too. Hopefully, we will be able to bring you more information about Sword Twin Studios SkyKeepers game, when it releases later this year.